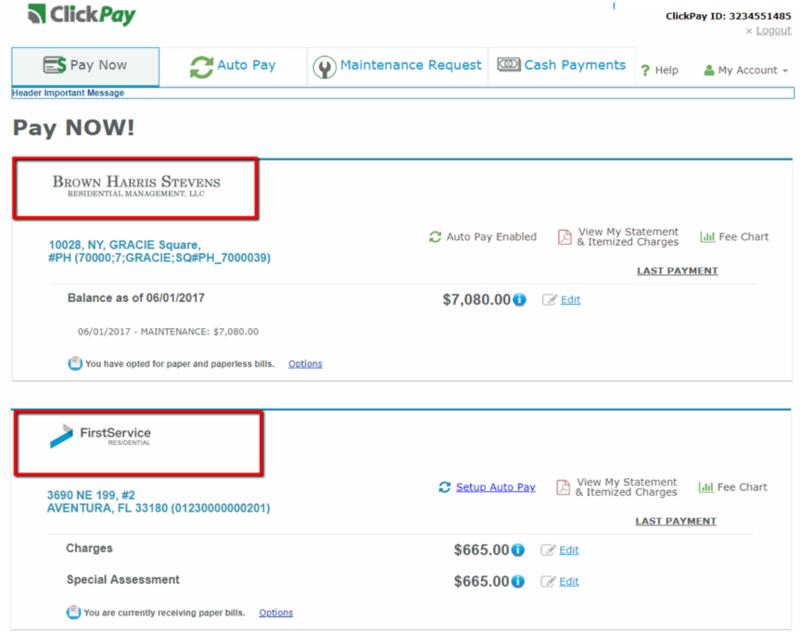 ClickPay’s 2018 release three upgrade is overflowing with visual enhancements, advanced administrator tools, and new functions that empower end users to have more control over their payments. Below are the highlights from 2018 Release Three. ClickPay introduces enhanced branding support for our HOA, Co-op, and Condo Association Managers to maintain their branding in ClickPay. This enhancement specifically benefits payors who own or manage multiple units across various Property Management Companies (PMC). Once on the Pay Now screen, users will see each unit accompanied by the PMC’s logo, which is particularly helpful to avoid brand confusion for units placed on Do Not Accept (DNA). End users can now instantly know which PMC they need to contact to rectify a DNA status. The logo placement feature is supported on both desktop and mobile view. ClickPay is now providing a self-service tool to resident users who make a mistake and need to cancel a payment transaction. With this new tool, located in the resident’s Payment History, residents now have the authority to cancel payments in the event they were accidentally submitted. Voids must be executed on the same day the payment is submitted because the transaction can only be cancelled before it is submitted for processing. To cancel a payment, simply go to Payment History > Transactions Detail and follow the prompts. Upon completion of the voided payment, an email confirmation will be sent to the payor confirming the request to void the payment. This feature is supported on both desktop and mobile view. The ClickPay environment now supports registration based on sub-resident ID. This is significant for MRI and Yardi clients as roommates and additional lease holders may have a different account identifier than the primary account holder, thus categorizing them as sub or co-residents. Enabling registration for sub residents permits secondary residents or roommates to access their units based on their individual account identifiers. 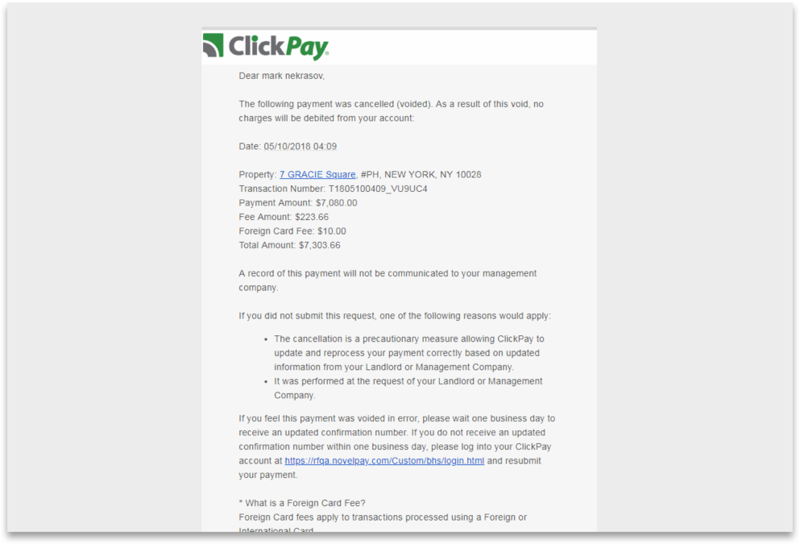 This functionality has also been applied to ClickPay’s Fee Collection pages to facilitate payments by those who may not be assigned to the primary ID. ClickPay aims to develop an intuitive interface so residents and homeowners do not feel obligated to call with questions regarding their balances. Information regarding balances and payment dates has been relocated to the Pay Now screen next to the Balance Due to be more visible and intuitive. Additionally, the improved Balance Help icon can be customized with a payment due message unique to each PMC. These feature enhancements are designed to assist residents and homeowners who may have questions regarding their balances. Renters and homeowners can opt to receive monthly statements via paper bills, paperless e-bills, or both billing methods. This option is available to PMC at their discretion. To offer this option to your residents, please speak with your Client Success Manager about ClickPay Billing. ClickPay is the complete platform for real estate billing and payments. As the industry-leading platform for automating real estate receivables, ClickPay accepts all payment methods, including paper checks, e-checks (ACH), cash, credit cards, and debit cards. ClickPay delivers integrated print and e-bill presentment and payment services to increase operational efficiencies and enable profitable growth. Shaping the future of real estate billing and payments with innovative products and services, ClickPay provides property management companies with customizable solutions to connect with their tenants, residents, and homeowners. To learn more, go to https://www.clickpay.com.